Art Deco is a style that took the world by storm in the late1920s and 1930s. It is not confined to architecture, but undoubtedly it is the buildings of that era that stand out. Being a city of many architectural styles from various eras, London is a place where Art Deco buildings sit alongside everything from elegant Georgian and Regency terraces to medieval fortresses and cathedrals and modern steel and glass skyscrapers. These various styles are found among London’s hotels, just as they are among its homes and offices, but when it comes to Art Deco, no hotel in the capital typifies the era better than the Athenaeum. 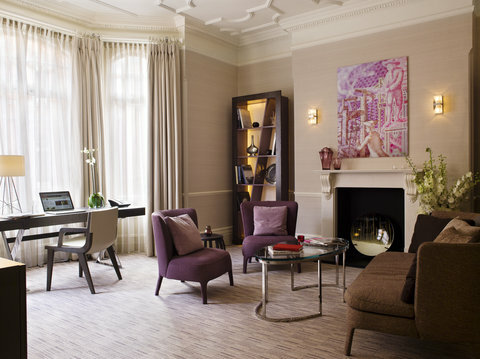 Located in a superb setting on Piccadilly in the Mayfair district and overlooking the wide green expanse of Hyde Park, the Athenaeum offers wonderful five-star luxury and elegance. Whether it is a beautiful room or a whole apartment, the hotel offers outstanding choice whether you are travelling alone, as a couple or even bringing a family. Facilities include a gym for those who want to tone up and burn off some calories, as well as a spa for those who prefer some relaxation and pampering. Talking of calories, the dining is superb, with the hotel winning the Tea Guild’s award for “Top London Afternoon Tea 2012″. There are four different choices, with even a gluten-free option. You can make the most of your visit by booking direct, as those who do so can enjoy a complimentary mini bar when staying in an apartment. Other extras include free wi-fi, complimentary drinks and snacks, while the great news for families is that the kids eat free. The central location means some of London’s attractions are within walking distance, while the Underground and other transport links are close by, so the Atheneaum makes a great base for exploring the city. For those who want to see some more great examples of Art Deco architecture, check out buildings like Eltham Palace, Adelaide House, Claridges, the Hoover Building, Broadcasting House and Battersea Power Station – and that is just a few of them.